Address : 20 Al.Panagouli Str. Amidst a well-tended garden, the all-inclusive Anavadia hotel features an outdoor pool with children’s section, sun loungers and umbrellas. It is located 700 metres from Kolymbia Beach of Rhodes. Facilities include a restaurant, poolside snack bar and billiards. Modernly decorated in earthy tones, all rooms open to a balcony with mountain and garden views. Each includes a flat-screen TV with satellite channels, a kettle and mini fridge. 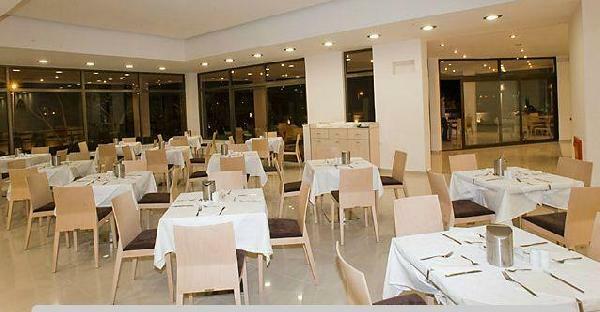 Guests can enjoy meals in buffet style inspired by the Greek and the international cuisine. Refreshing cocktails, drinks and light meals are served at the bar by the pool. Anavadia lies 25 km from the scenic village of Lindos and Diagoras International Airport. The island’s main port is at a distance of 27 km. Είστε ιδιοκτήτης ή διευθυντής στο ANAVADIA HOTEL; Εγγραφείτε τώρα για δωρεάν εργαλεία, που μπορείτε να χρησιμοποιήσετε για να βελτιώσετε την καταχώρησή σας και να συνδέσετε την ιστοσελίδα σας και το σύστημα κρατήσεών σας.